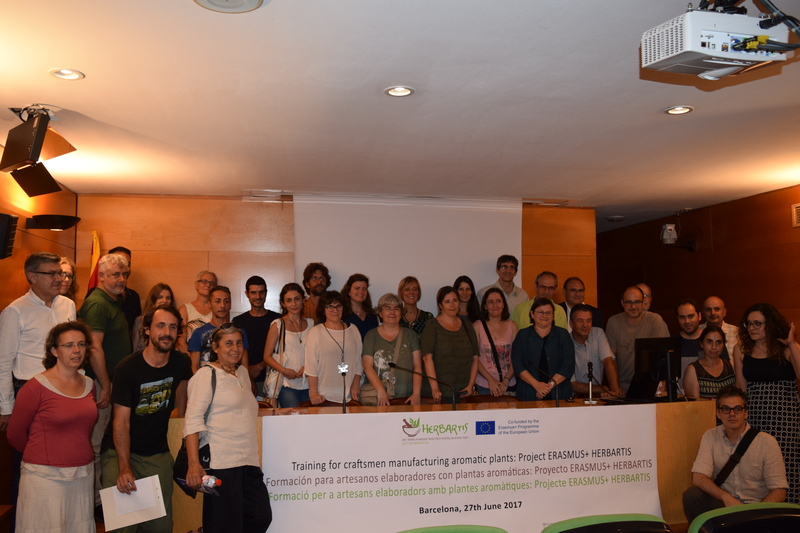 Around 60 people attended the Final Seminar of the project ERASMUS+ HERBARTIS, where the results of the project were explained, in special attention to the pilot courses in each country and the Guidelines of training methodologies and political recommendations. 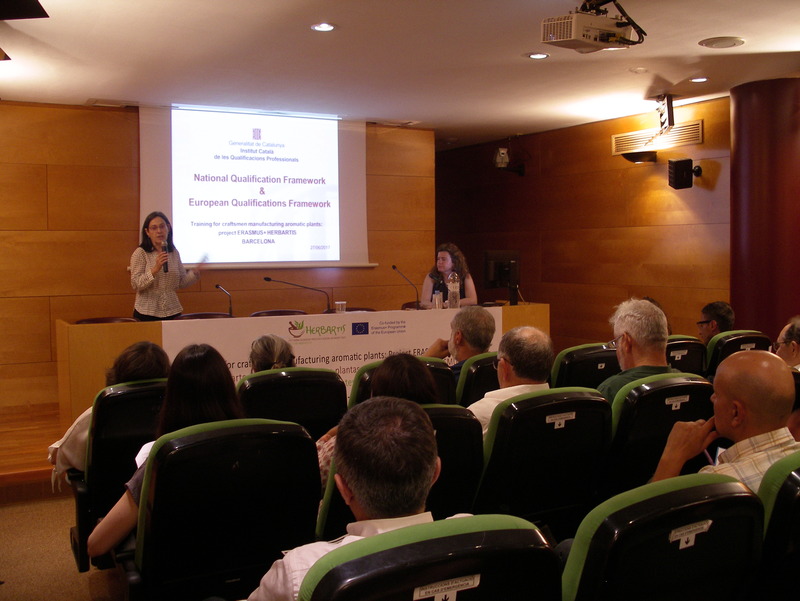 Some experts were invited to present the framework of the professional qualification certification process (Mrs. Manuela Merino) of the Catalan Institute of Professional Qualification. 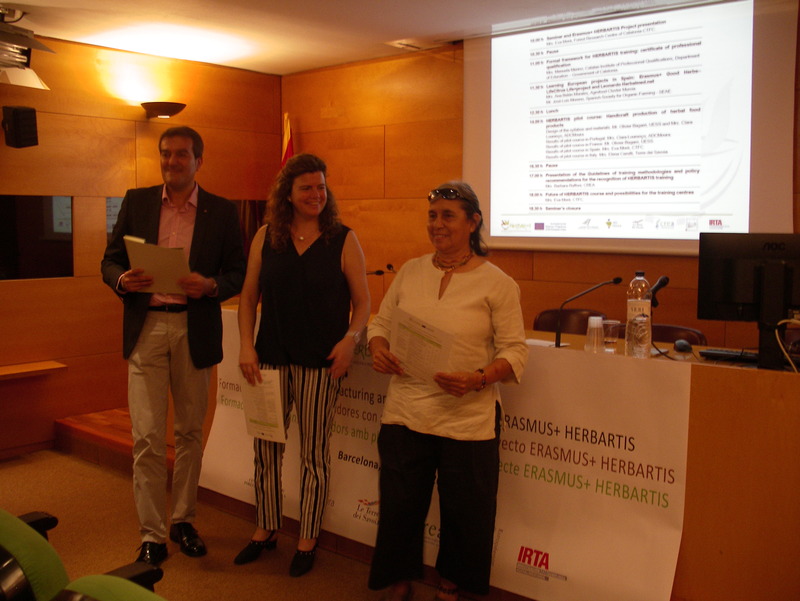 Also examples of other European projects dealing with MAPs training: Good Herbs, LifeCitrus, by Ana Belén Morales of Agrofood Murcia and Herbalmed.net, by José Luis Moreno of SEAE. 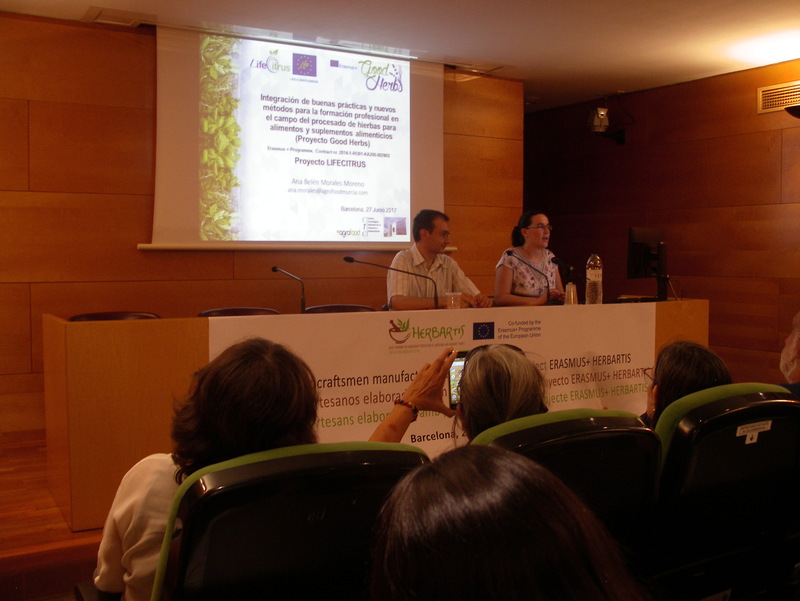 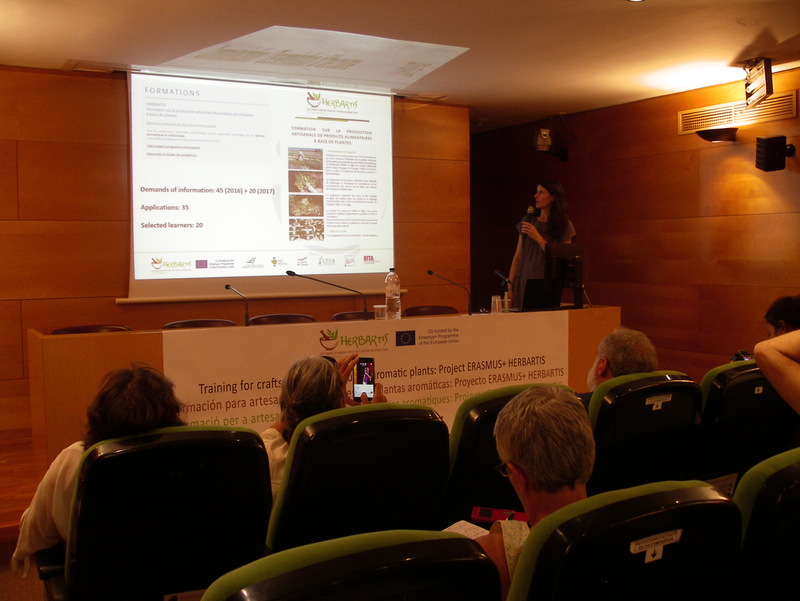 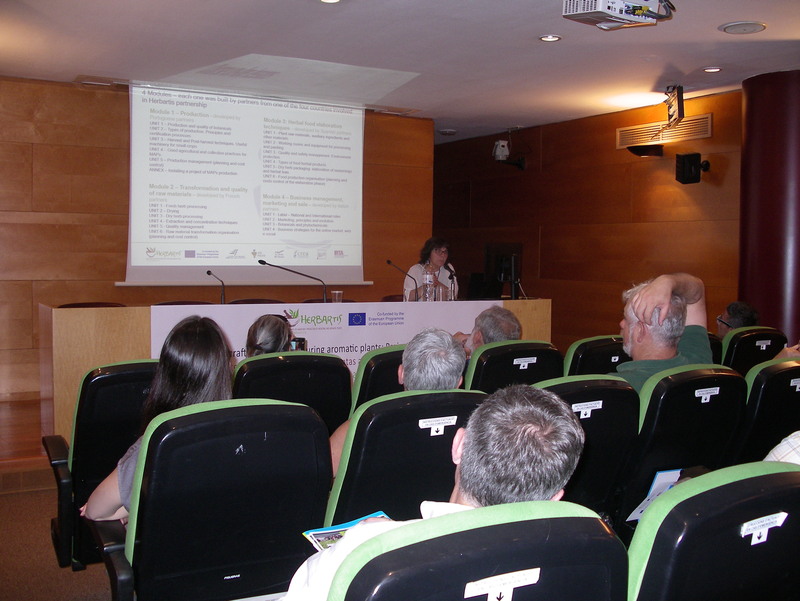 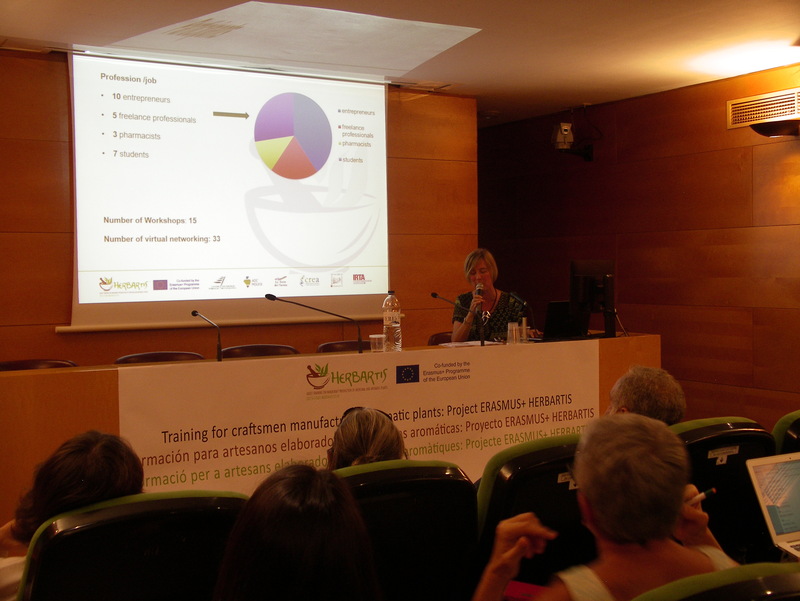 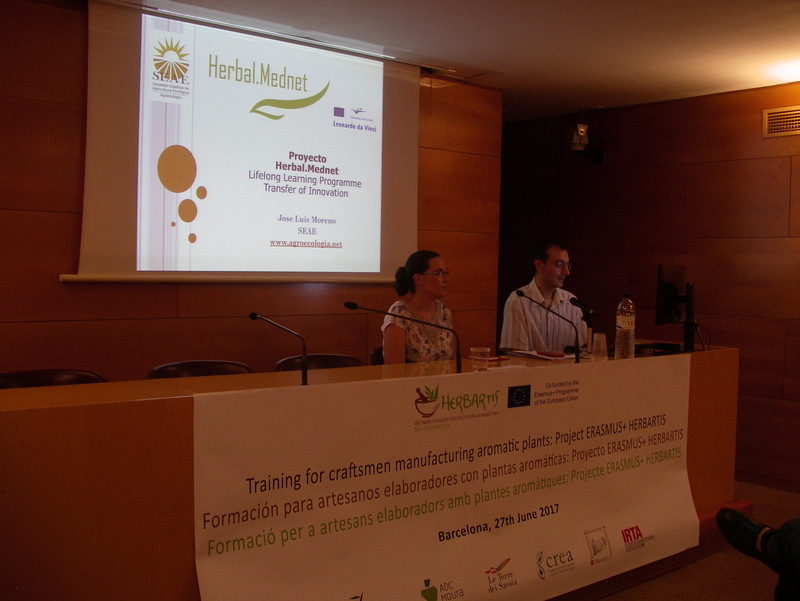 At the end, Eva Moré, from the Forest Research Centre of Catalonia, as HERBARTIS project coordinator explained the possibilities for the sustainability of the project, assuring that the partnership is willing to foster the recognition of this training and they are still working to enhance the implementation of a second edition of the course on Handicraft production of Herbal food products during 2018. 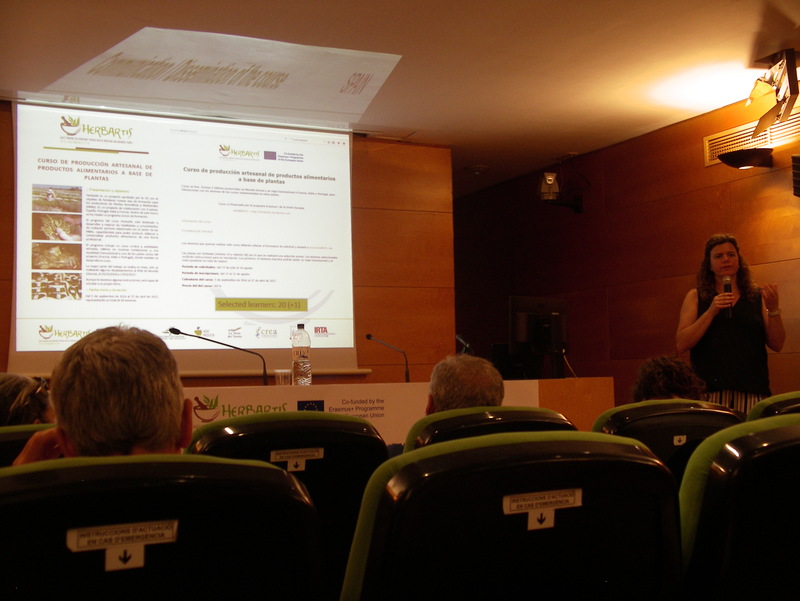 Some interesting suggestions issued from the public, who counted with the presence of Mr. Andrea Primavera, president of the FIPPO (Italian Association of MAPs producers, Mr. Alberto Manzo from the Ministry of Agrofood and Forest Policy of Italy, Mr. Joao Salgueiro, from the General Direction of Agriculture and Rural Development of the Ministry of Agriculture in Portugal, and many MAPs specialists and producers from Catalonia. 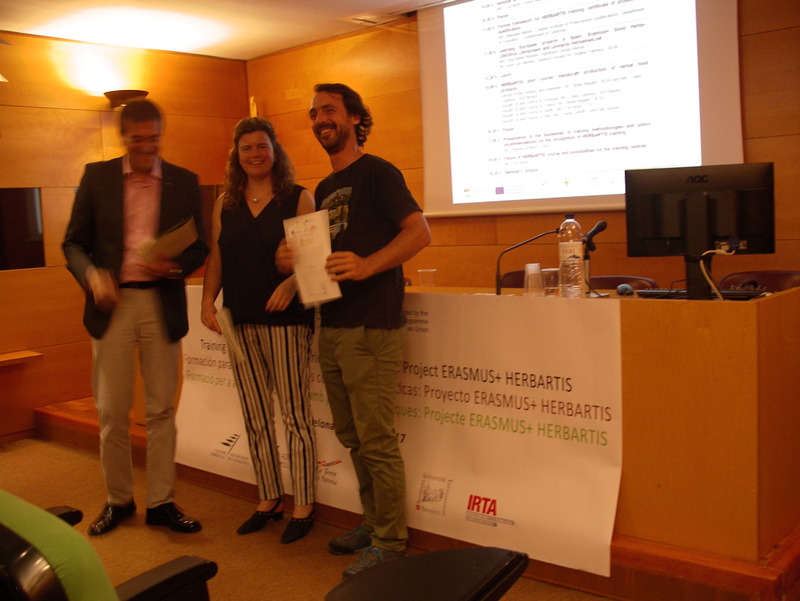 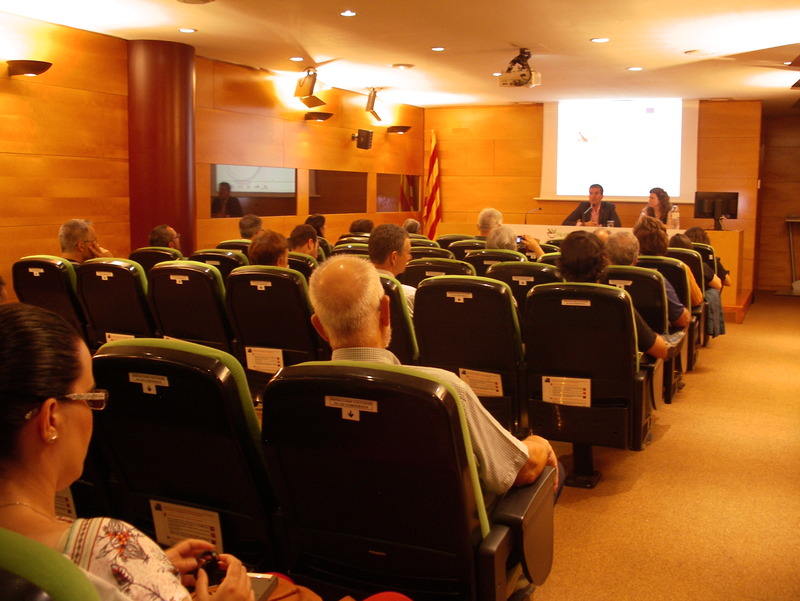 Course certificates were delived to the Catalan learners present in the seminar, by the coordinator of the project amb Mr. Josep Pena, Head of Barcelona’s Service of the Department of Agriculture of the Goverment of Catalonia.